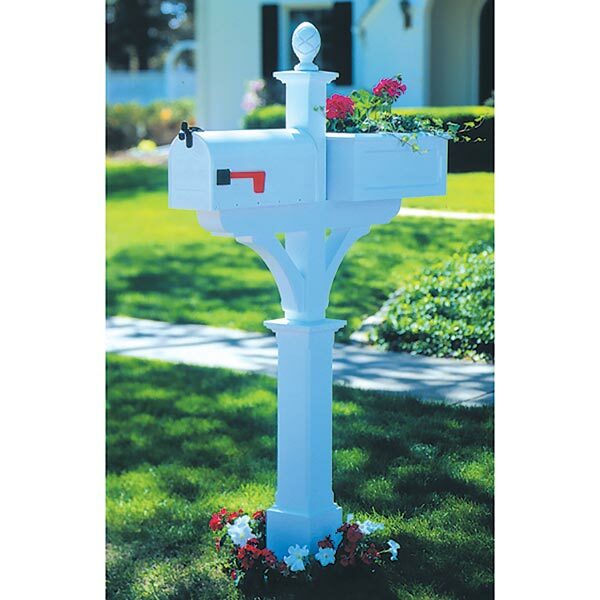 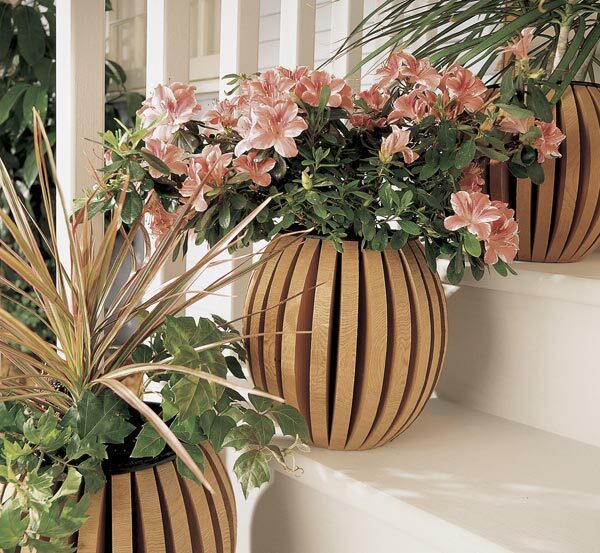 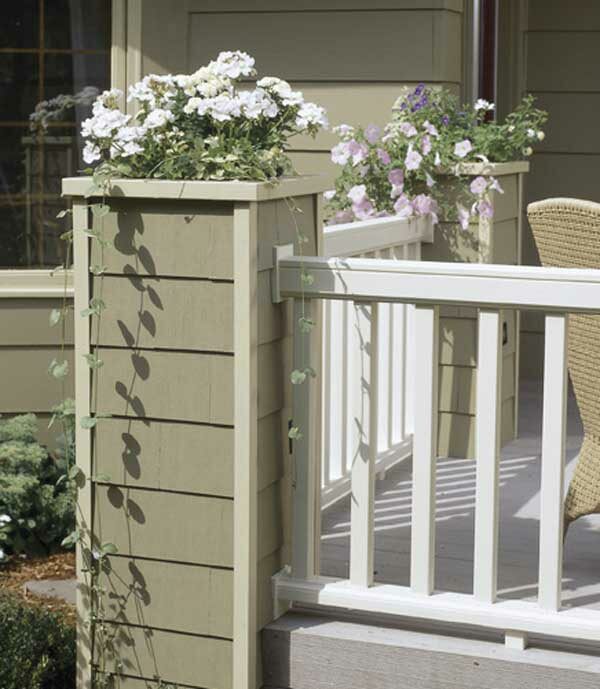 Blooming beauties rise to the occasion in these outdoor decorators. 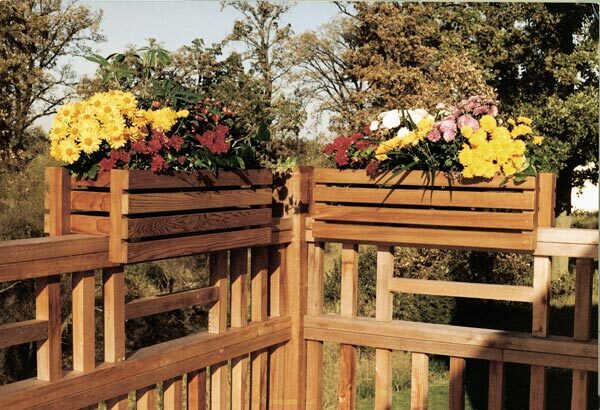 Simple to construct, the framework consists of 2x4 stock, handsomely covered with weather-resistant cedar fencing. 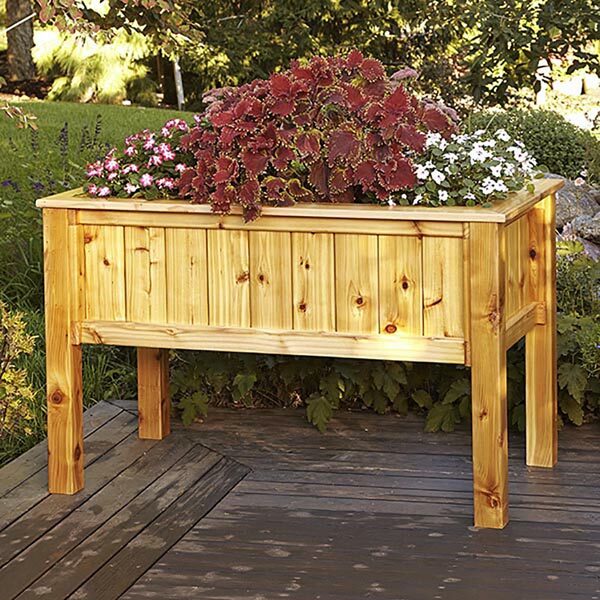 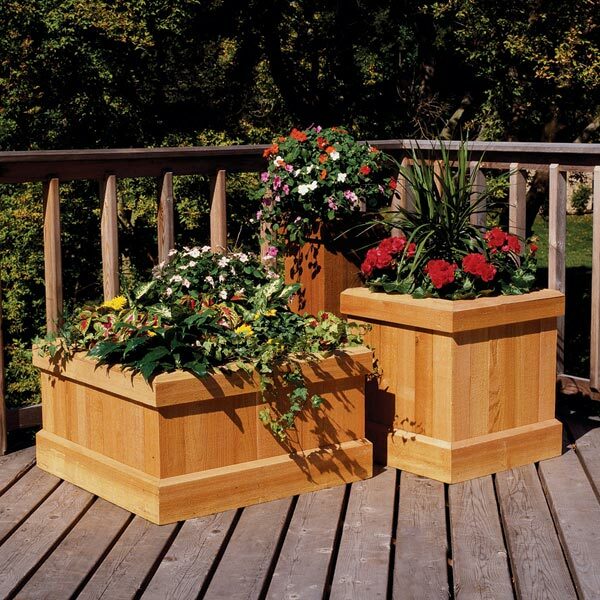 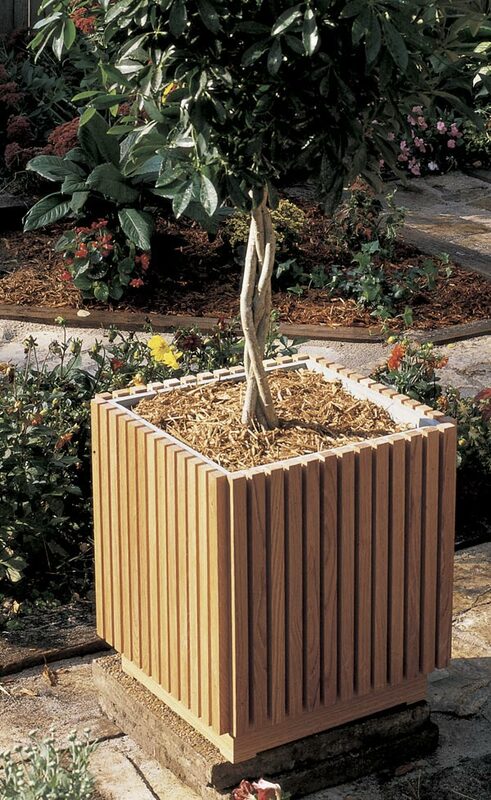 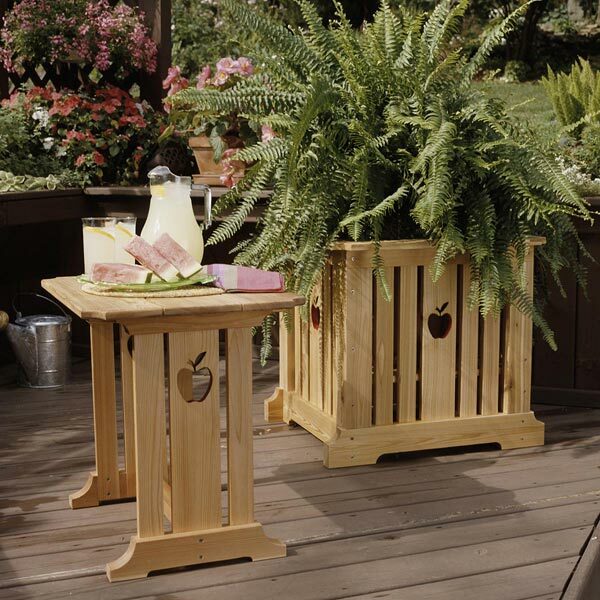 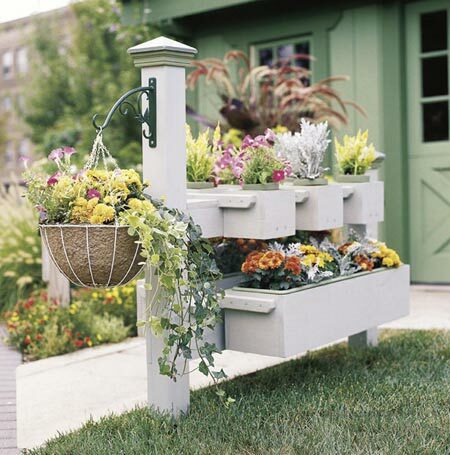 Each planter has a shelf you can position to elevate your favorite plants to just the right height.